Order in next 4 hours and 22 minutes for despatch today. 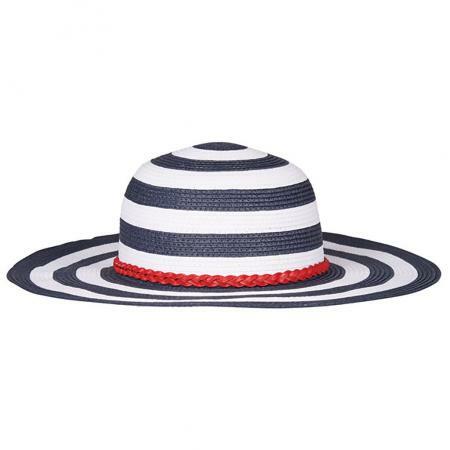 Barbour Tide Sun Hat for ladies For Summer in navy and white stripe. For the perfect summer accessory this season choose the Women's Barbour Tide Hat, offering you a stylish paper braid navy blue and white striped sun hat you are sure to love! For an added splash of colour this hat has been finished with a red outer hat band.